On the Cover: A Piping Plover (Charadrius melodus) performing a broken-wing distraction display at a lakeshore housing development near North Bend, Nebraska, USA. Using field-based demographic and movement rates, Zeigler et al. 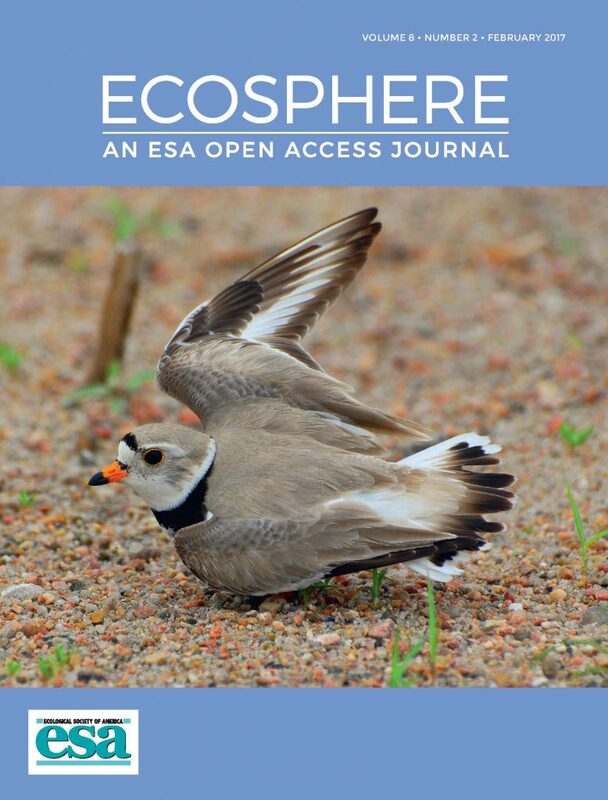 (Ecosphere, Volume 8, Issue 1, Article e01653; doi: 10.1002/ecs2.1653) conducted a metapopulation viability analysis for Piping Plovers, a threatened disturbance-dependent species, to better understand current and projected future metapopulation dynamics given that natural disturbances have been greatly reduced by river impoundments and that climate change could further alter the disturbance regime. Sara L. Ziegler, Daniel H. Catlin, Mary Bomberger Brown, James D. Fraser, Lauren R. Dinan, K.L. Hunt, Joel G. Jorgensen, and Sara M. Karpanty. 2017. Interacting effects of climate change and anthropogenic modification on a disturbance-dependent species in a large riverine system. Ecosphere 8(1). Mary Bomberger Brown is a research assistant professor in the School of Natural Resources.